Do we seem a little preoccupied with food lately? Well, it was hard not to be preoccupied with all of the tasty offerings at last weekend's street fair. My favorite was something I hadn't heard of before—chimney cakes. 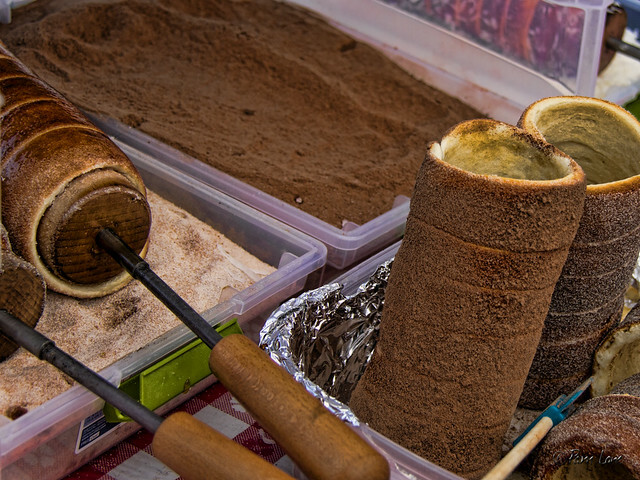 Chimney cakes are a traditional Hungarian pastry that originated in Transylvania (now in Romania). 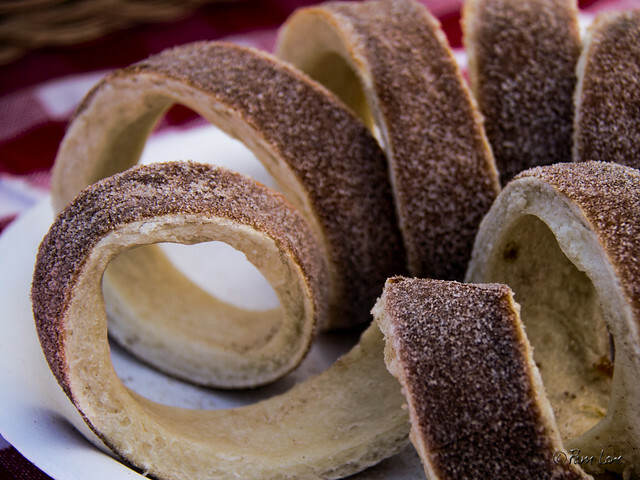 The dough is wrapped around a wooden cylinder, covered with sugar, and baked over an open fire. Then the pastry is dipped in one of a variety of toppings, such as chocolate, coconut, or (my favorite) cinnamon. I'd never heard of it before either, but it sure looks good!